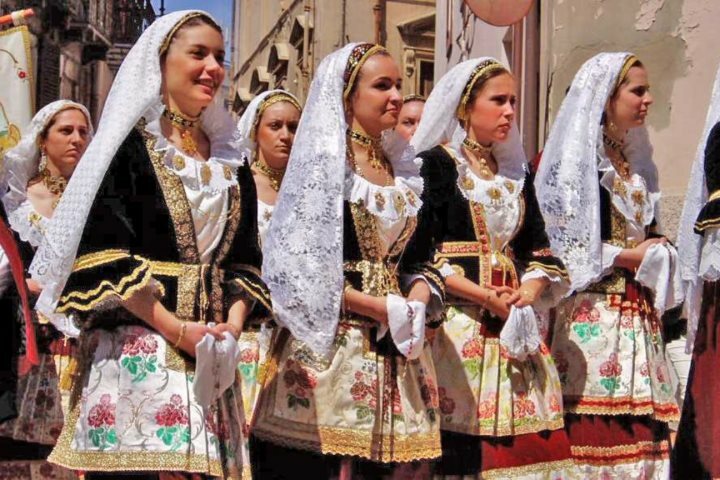 As one of the largest and most colourful festivals in the world, Festa di sant'Efisio (the festival of Saint Efisio) marks an important part of history for the island of Sardinia. 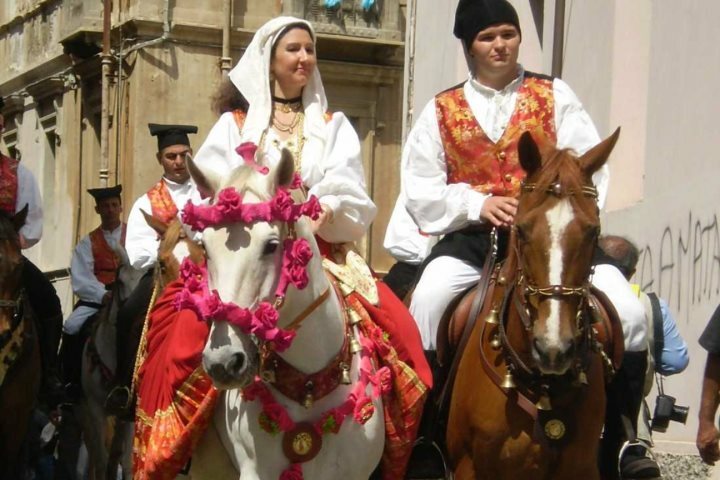 A celebration which lasts an impressive four days, it begins on the 1st of May each year, where a procession from Cagliari travels to Nora and back, paying homage to Saint Efisio. It was in 1652 that Sardinia suffered with the plague and much of the population died. In their desperation, the people turned to Saint Efisio in order to try and free the island from the disease. Efisio - a Roman Commander - had been sent by Emperor Diocletian to suppress Christianity in Sardinia, but upon landing on the island and experiencing what’s described as an epiphany, he converted to Christianity. In 303 AD, Efisio was imprisoned in Cagliari, and shortly after made a martyr by being beheaded by the Romans on the beach of Nora after refusing to deny his new, Christian faith. The Sardinian people vowed that if Saint Efisio were to rid them of their terrible plague; they would march in an elaborate procession in his honour each year. 1656 finally saw the end of the plague, and true to their pledge, every year since that day the people of Cagliari have taken to the streets to perform an extravagant parade in an array of traditional clothing to celebrate the Saint. 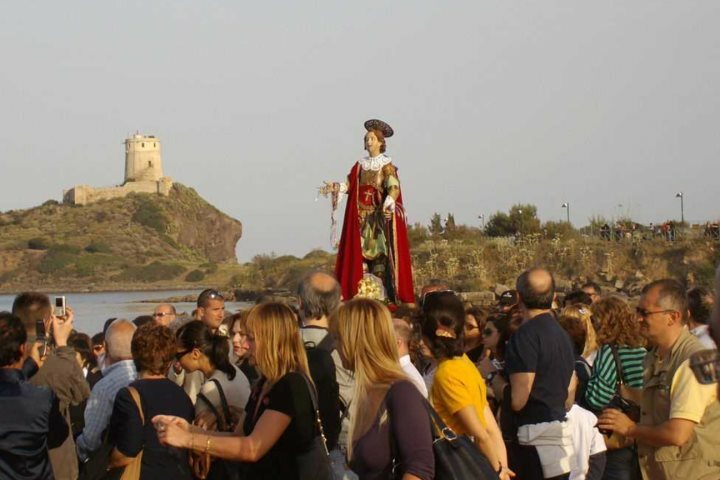 In essence, this festival is a large and colourful procession in which a statue of Saint Efisio begins a four day journey from Cagliari to Nora and back again. The locals dress in their village’s traditional clothing, and even the horses and oxen used to transport elaborate carts are dressed for the occasion. You’ll also hear the wonderful sound of traditional ‘Launeddas’ (woodwind instruments) filling the air as the procession makes its way through the towns and villages on the way to Nora. Have you experienced this festival whilst on holiday in Sardina? If so, please tell us what you enjoyed about it by commenting below.